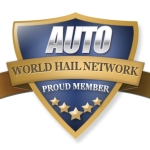 Here is an example of a quick video production for the World Hail Network. This video would cost you $25.00 to get your own custom video. Order now to have your very own video production made for Only $25.00!